Asphalt in caryard refurbished in Resene Blacktop. 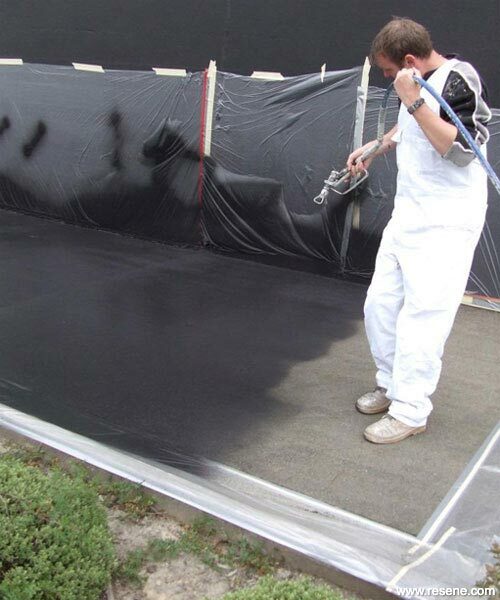 Resene Blacktop is ideal to refurbish and renew asphalt and can be easily applied with the Hi-Solids Roller sleeve. Large areas can also be sprayed – check with Resene for spray application advice. The availability and DIY ease of laying cold asphalt means small potholes can be easily filled before applying Resene Blacktop. Driveways - not only does it renew and refurbish old asphalt driveways, it looks fresh and new, especially important if you are selling a home or property. Commercial sites: like the caryard shown. Improves the initial impression of the business making it more attractive to potential clients. Asphalt tennis courts: – it is a relatively inexpensive way to refurbish tennis courts. The lines can be redone using Resene Lumbersider. See Resene Blacktop Data Sheet for more technical information.